The Salina Salvation Army is planning a Thanksgiving dinner for several thousand of their closest friends. The organization will again host a free community-wide Thanksgiving dinner. The event this year will be at Applebee’s on South 9th Street in Salina. The meal will include turkey with all the trimmings. Roxanne Matous from the Salvation Army tells KSAL News that the event wouldn’t be possible without a lot of volunteer help. She says that staff at Applebee’s, the Salina Country Club, and the GL Huyett company of Minneapolis all provide support. Matous says that they will prepare 60 turkeys for the event. It is free, and open to anyone in the community. 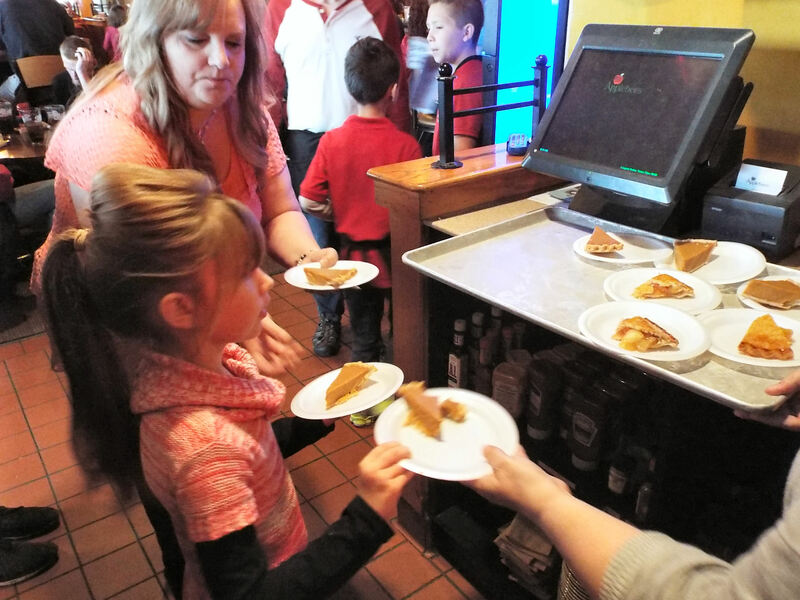 The Salvation Army free Thanksgiving dinner at Applebee’s in Salina will be from noon until 2:00 on Thanksgiving Day. Volunteers of all ages help at the event.